Curating-In-Depth is one of the 3 selected projects of Creative Encounters: Cultural Partnerships between Asia and Europe (4th Edition). The second phase of Curating-In-Depth, provided an immersion in the Philippines for curators from Slovenia and Croatia. In this comprehensive exchange, similar curatorial goals were identified and the differences in context encouraged a deeper enquiry into matters of infrastructural support in arts and culture between these two regions and how art navigates through society. Slovenian curator Antonija Letinic reports on her personal experience in Manila. From March through May visitors of Osage gallery in Hong Kong had the opportunity to see the exhibition entitled South by Southeast co-organized by Philippines curator Patrick D. Flores and Romanian curator Anca Verona Mihulet. The idea of the exhibition was to draw a map of intersections between these two regions lying on the South Eastern parts of their continents, and to determine conceptual links in the contemporary arts of Southeast Europe and Southeast Asia. The starting point is the confrontation of dichotomies North-South, East-West and all the generalisations and prejudices attached to the cultural aspects of these geographical positions. By merging south with east they attempted to transcend historic and geopolitical narratives determining these two distant, yet in some respects common regions. 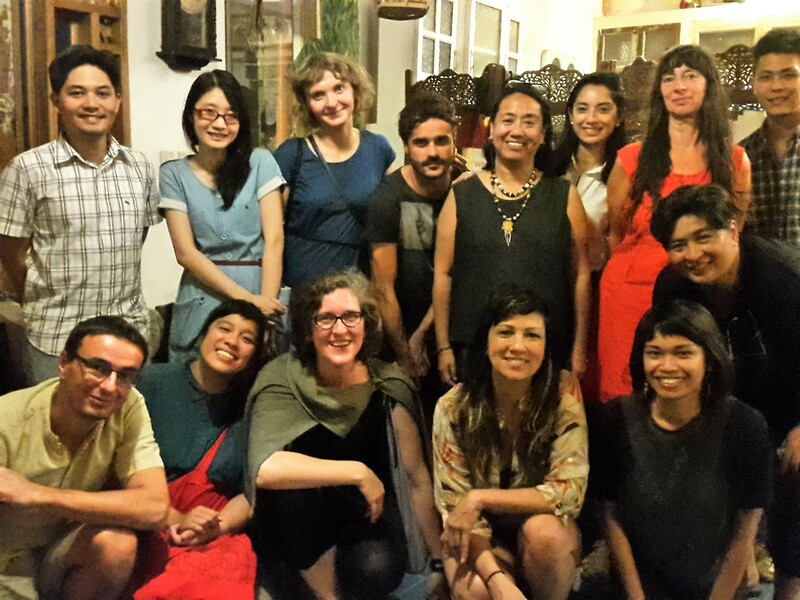 The Curating-in-depth project tried to tackle and sketch the same debate through the meeting of curators and artists from Slovenia, the Philippines, Croatia, Myanmar, Malaysia, Thailand and Singapore. The first phase of the project took place in Slovenia in May this year (you can read the report here ). The second phase took place in Manila, Philippines last August and this is what my article will focus on. My initial reference to this exhibition was not only because of the common ground as our project, but also because the curator of the exhibition Patrick D. Flores is director of the Vargas Museum in Manila where our tour of Filipino art and cultural scene was concluded. Choosing to start from the end may seem strange. But this last visit is in a certain sense the missing puzzle in the picture of this vivid, hectic, almost post-apocalyptic city constantly changing face and opening new layers. The Vargas museum contains an impressive and valuable collection of the works from late 19th and early 20th centuries. Presented in the permanent exhibition, and combined with some commissioned contemporary works interspersing the setup, they nicely sketch different influences and styles that shaped the path of what will become a base for contemporary art practices. Lian Ladia and Sidd Perez, curators of Planting Rice and our partners in the project, organised a well-designed tour that encompassed various spaces such as cultural centres, museums, galleries and art studios creating an insightful image of the art system in which they operate. Metropolitan Museum, Lopez Museum, Ayala Museum, MCAD and CCP – Cultural Centre of Philippines compose an integral and diversified system dedicated to presenting and maintaining different forms of art. The Ayala Museum, located in the Greenbelt shopping complex of Makati city, offers an insight in two important aspects of culture and heritage – gold crafts through exhibition Philippine Gold – Treasures of Forgotten Kingdoms and historic overview in Diorama. Lopez Museum preserves and presents written historiography and documentation with an attempt to paint and extract Filipino identity through written documentation of foreigners. Metropolitan Museum in their permanent display contains the works of Victorio Edades, father of the Filipino modernism, Romano Estella and Hernando R. Ocampo whom we will encounter once more at the end of our journey in the Vargas Museum. Although the central focus of our project is lying on the curatorial practices and their comparison in two different contexts, without being acquainted with the context in which they frame themselves and develop seems rather impossible. So this historical overview given through the visits to these museums represented an entrance into the world of contemporary arts we had the opportunity to see in other spaces such are CCP, MCAD, galleries Duemila, Silverlens and artists spaces. 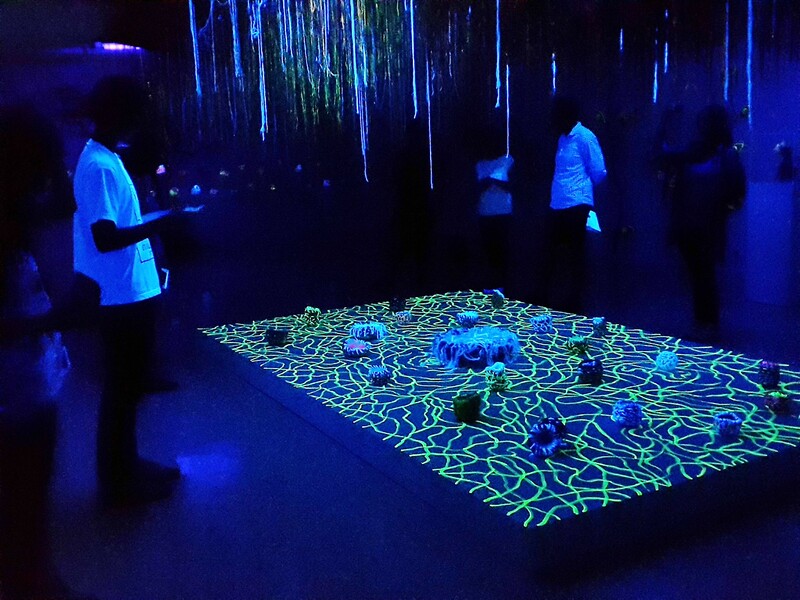 MCAD – Museum of Contemporary Arts and Design presents local and international artists and organises residential programmes. Its focus is on the graphic design, architecture, industrial and applied design, as they are part of the college. Since social realism is very strong in the arts from 1960s onwards, they dedicate a lot of attention to different paradigms and affirmation of other types of practices. Ateneo Gallery, within the university presents modernist arts both from collection and through temporary exhibitions of new works. Mo gallery art space is focused on artists working experimental forms, while Silverlens gallery was at the beginning dedicated to photography; since 2007 it has broaden its focus to a variety of forms and media such as films and installations. It offers two spaces and present 2 to 3 exhibitions a month, while part of their work is dedicated to publishing catalogues and publications and selling artworks. Gallery Duemila, initiated and run by Silvana Diaz is one of the first independent galleries in Manila. Her work is for the past thirty years dedicated to supporting, producing and promoting artworks by artists of mid and older generation. The focus is on researching islands and discovering new artists from hidden parts of the country, and is dedicated to composing an archive of their work. Visits to artist-run spaces like the ones where Poklong Anading and Ling Quisumbing work, brought us into a more private sphere where art is produced before it is displayed and presented to the audience. I am intentionally concluding with the visit to the CCP – Cultural Center of Phillippines, an impressive building in Manila urban context. It consists of 6 gallery spaces, and most of their programming consists of historic exhibitions and retrospectives. The centre, conceived by Imelda Marcos, was opened in 1969 and was envisaged as part of a bigger cultural complex. The current exhibition centre was in the beginning planned as a performance art space, but in the process, it changed its purpose. Currently it is a home for different artistic and cultural practices such as ethnographic museum, philharmonic orchestra, ballet scene, library, and documentation centre and film section. CCP is the only public institution we visited and getting acquainted with the structure of the centre, its roots and the ideas on which it was conceived resounds with the context we came from. While most of the museums and galleries in the Philippines are privately owned and run, in our part of the world it is quite the opposite. Private museums and galleries are only starting to enter markets recently, thus the experience of private museums bearing such an important role of preserving and presenting national heritage are topics yet to be discussed in our context. Critical reflection of the artistic and institutional conditions was the topic of the discussion held in the Artery art space where gallery and museum directors, curators, artists, journalists and editors reflected on their position. The situation they discussed about is completely different from our experience, but it is also something that we are discussing more and more since the cultural policies in Europe are slowly taking a more market-oriented course. In this respect, the overview we got in Manila is a certain kind of radical image of our uncertain institutional future. The second part of our visit consisted of three-day conference and two-day retrospective of John Torres. The conference was conceived as an overview of different issues each of us is dealing with in our work. This was also reflected in the structure of the conference. The first day was dedicated to the theme of criticality under the title Rehistoricization: Criticality in linear art histories. Contributors to this theme were Renan Laru-An and Lian Ladia from the Philippines, Simon Soon from Malaysia and myself. Ladia and Laru-An gave an insight in the historical development and changes in different critical discourses developed in their own context, while Simon Soon’s contribution opened regional perspective on critical and engaged art practices and art interpretation. My presentation focused on the context of changing critical discourse in changing media and art production landscapes. The second day was dedicated to alternative organisational infrastructures with contributions by Dušan Dovč, Miha Kelemina and Simona Žvanut, from Slovenia, Angel Velasco Shaw from the Philippines and Kyo Narwan Pathomwat from Thailand. The last day was dedicated to archiving practices with contribution by veterans of archiving Barbara Borčič from SCCA and Ricky Orellana, director of the Mowelfund Film Institute. Their presentations consisted of introduction in their practices and selection of works they have in their archives. Although troubles we are faced with depend strongly on the context we come from and parameters defining our societies, some mutual points can be traced in the similar dynamics shaping our present and our future, signalling more and more common aspects opening on our horizon. Changes in the institutional framework, social discrepancies, threats to democratic processes as well as, some positive trends such as technological development and dissolution of traditional frameworks can point to convergences of once distant societies. And in that context, new models of organisation, different operational strategies can be one of the paths to creating new, progressive and open discourse. Encountering people from others part of the world with whom you share much more common ground than with the ones you share the geographic coordinates is what contemporary arts is about. And this kind of opportunities, this kind of debates, points of convergence and divergence, similarities and disparateness create the space for imagining new and different forms of art and its role in the world. Studied Art History and French Language and Literature at the Philosophy Faculty, University of Zagreb. Since 2000 collaborates with numerous organisations engaged in the field of cultural and artistic production in Croatia. From 2004 till 2009 she worked as PR, editor of publications and executive producers for Eurokaz – Festival of New Theatre. One of the founders of NGO Nemeza – Association for development of non-profit media and Kurziv – Platform for matters of Culture, Media and Society where she is currently president. Since 2009 works in Kurziv as assistant of editor-in-chief of the portal Kulturpunkt.hr, where she is currently on the position of editor-in-chief (since June 2014) and is in charge of two other programmes of the organisation – Kulturpunkt's Journalistic School and Criticism – past, present, future. She writes for magazines specialized for culture and performing arts.